Dynmark (trading as COMAPI) provides a cloud based platform to enable organisations to access mobile messaging and intelligence services. The platform operates across both text and internet messaging and allows Dynmark customers to target campaigns to increase return and customer engagement. 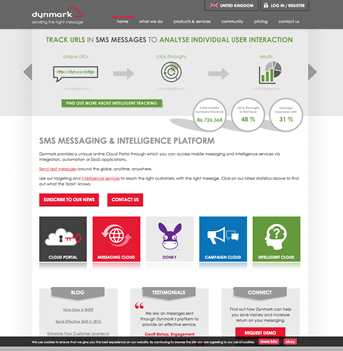 The Dynmark Mobile Intelligence Platform uses Big Data analytics on aggregated data to produce factual and behavioural information. All Dynmark services are accessible through a Cloud Portal, enabling businesses of all sizes to engage in mobile marketing. Dynmark processes over 7 million messages per day. Dynmark customers and partners include Experian, Acxiom, Carphone Warehouse and British Airways. Dynmark was acquired by Dotdigital Group plc in November 2017. 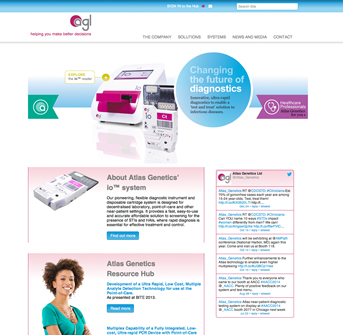 Atlas Genetics is an innovative UK-based in vitro diagnostics company focussing on decentralised, near-patient and point-of -care (POC) testing. Atlas’s ultra-rapid io™ DNA based diagnostic platform consists of a small, low cost instrument (io™ Reader) and test-specific, disposable cartridges (io™ Cartridge) providing an accurate, actionable test result in around 30 minutes. The initial focus is in the areas of Sexually Transmitted Infections (STI) and Hospital Acquired Infections (HAI) where rapid diagnosis is essential for effective treatment and control. TVP were an early investor in Atlas Genetics, the technology originating from Bath University and a corporate. In total Atlas has raised more than £22m of venture capital with the syndicate of investors now including Novartis Venture Funds, Johnson & Johnson Innovation, Life Science Partners, BB Biotech and Consort Medical plc. 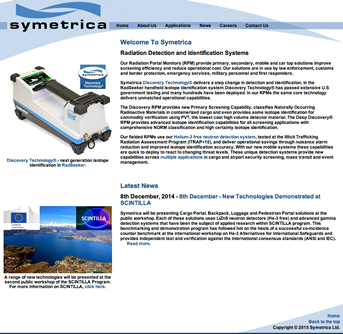 Symetrica is a leading supplier of advanced isotope detection and identification technologies for the Homeland Security market. Symetrica was originally a spinout company from the Department of Physics and Astronomy at the University of Southampton. The core technology has been developed into a suite of products that detect and accurately identify threat materials, even when masked by innocent radioactive material or in the presence significant shielding. This greatly increases efficiency at detection points such as ports and borders by distinguishing threat material from legitimate radiological materials. The products include both handheld and vehicle portals detection systems. Symetrica solutions are in use at a range of customers across the world including the US Department for Homeland Security. 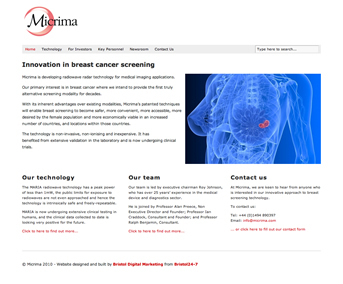 Micrima has developed a radiowave based system for medical imaging with the first application being used to screen for breast cancer. The Micrima MARIA system is based on technology originating from Bristol University. Radiowaves systems have significant advantages over existing X-ray technology being inherently safer, more mobile and less expensive to produce. In addition, radiowaves can be used on wider population groups, particularly younger women. The MARIA system has performed impressively in clinical trials and product launch is scheduled for 2015. TVP invested in Micrima at the spinout stage and has supported subsequent funding rounds. Co-investors include Swarraton Partners, the British Business Bank Angel Co-fund. 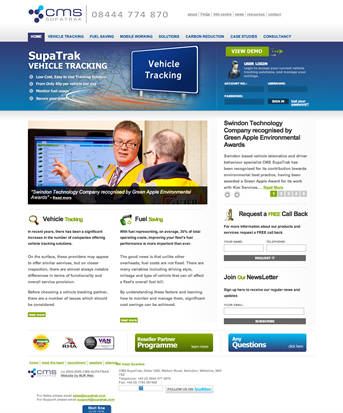 CMS SupaTrak specialises in the development and provision of telematics solutions for Vehicle Tracking, Fuel Saving and Mobile Working. CMS’s EcoTrak technology for commercial vehicles enables fleet managers to reduce fuel consumption by monitoring and reporting on driver behaviour and vehicle parameters. CMS SupaTrak and JobTrak solutions optimise route and schedules, track and track vehicles and staff and provide proof of delivery of an asset or service. CMS customers include Biffa, SITA, Veolia, Birmingham City Council, Network Rail and Royal Mail. 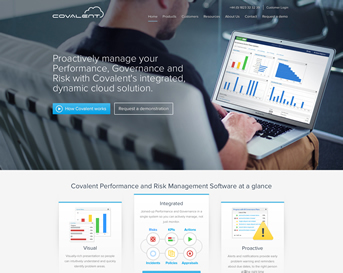 Covalent Software provide a cloud based platform to enable organisations to proactively and efficiently manage Performance, Governance, Risk and Compliance. The Covalent Cloud software consolidates an organisations relevant information into one repository. A suite of Dashboards and Reports sits on top of the repository providing real time views on performance against defined targets such as KPI’s, policies, risks parameters and compliance requirements . The Covalent workflow and task management system provides early warning against these measures and assists users in managing corrective actions to completion. Covalent primary market is the UK Public Sector with a leading position in the UK Local Council market with over 140 councils as customers. Object Matrix provides a object based software solution for organisations seeking to manage large amounts of file based or unstructured data. 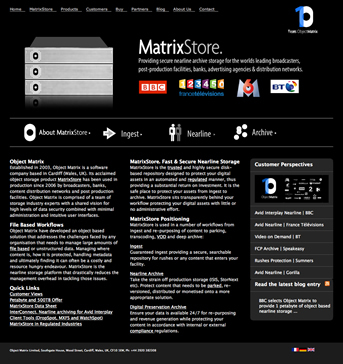 Object Matrix’s MatrixStore offers fast and secure Nearline Storage using a disk-based repository to protecting organisations digital assets in an automated and regulated manner. MatrixStore sits transparently behind existing workflow protecting digital assets with little or no administrative effort required by the user. Object Matrix customers include a wide range of leading media organisations including BBC, BT, France Televisions, NBC Universal and Sony Pictures. 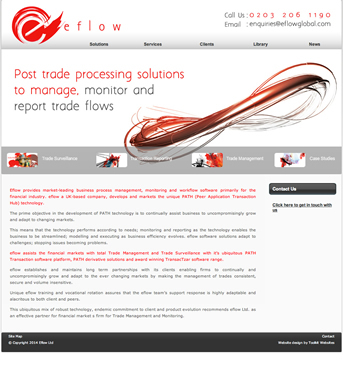 Eflow provides business process management, monitoring and workflow software for the financial services sector. Eflow’s PATH platform offers Trade Management, Monitoring and Transactional Workflow solutions to increase efficiency in financial institution back offices. The eflow TransacTzar platform enables real time Trade Surveillance and Transparency, reducing risk and assisting users meet their regulatory compliance obligations. Eflow customers include The Co-operative Bank, Unicredit, Brewin Dolphin and Charles Stanley. Ochresoft provides workflow software for small and medium sized legal firms. 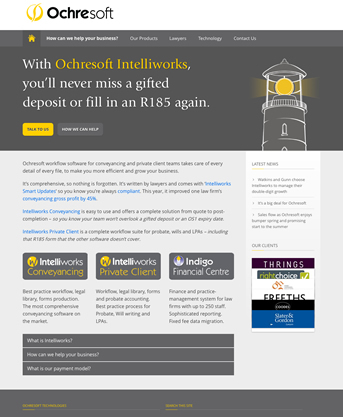 Ochresoft’s Intelliworks software is a complete cloud based workflow suite enabling legal firms to manage both conveyancing and will and probate processes. 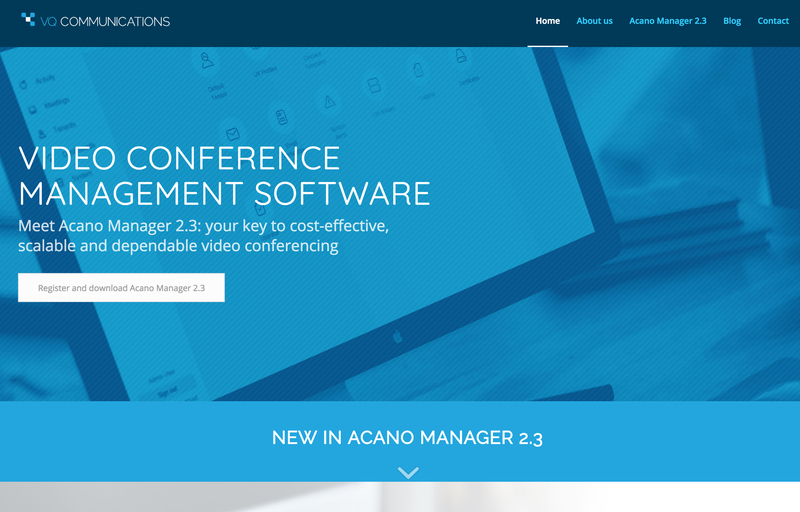 The software was originally written by a leading South West firm of lawyers for their own use. TVP helped fund the spinout of the technology as an independent software vendor. Ochresoft customers now include several leading UK national and regional firms such as Slater & Gordon, Gordon Brown and Thrings. TVP realised its investment in Ochresoft in July 2014 as part of a funding round in which Landmark, a subsidiary of Daily Mail & General Trust made a strategic investment in Ochresoft. 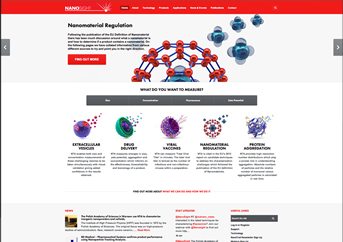 NanoSight supplies instrumentation for the visualisation of nanoparticles in real time. NanoSight’s “Nanoparticle Tracking Analysis” detects and visualises nanoparticles in liquids down to 10 nanometres. The technology is based on the measurement of the scattering of laser light. The NanoSight instruments measure size, size distribution, concentration, charge and fluorescence on a particle by particle basis. The technology has found application in a wide range of research and commercial applications. The NanoSight instruments are also increasingly being used for the development of drug discovery systems, viral vaccines and in nanotoxicology. TVP invested in NanoSight at an early stage of its development. NanoSight was acquired by Spectris plc in September 2013 for £15m.